With the pilot shortage in full force, many airlines have set up, or are in the process of setting up Cadet Pilot Schemes. BAA Training is very pleased to launch Type Rating Cadet Pilot training programme in addition to already existing one – Ab Initio Cadet. Every airline is different – some use Type Rating Cadet Pilot training schemes while others plan to act in accordance with Initial Cadet Pilot training. Therefore, BAA Training may offer both to satisfy every customer’s needs. Type Rating Cadet Programme will be adjusted to meet the highest standards of the airline by including the assessment phase and additional training exercises to Type Rating training programme. In order to achieve the best training results of each student and ensure success in their future career in aviation BAA Training has implemented the selection model in order to select the best candidates. The selection model has shown a certain style of thinking, coordination, spatial orientation, decision making, ability to work under pressure, team working capabilities and motivation, which are the key values towards a successful pilot or flight attendant career. 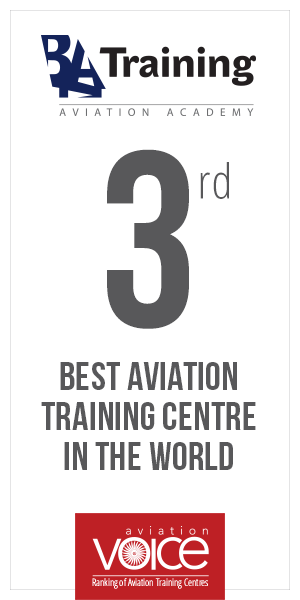 The contract between an airline and a training academy ensures that the necessary number of pilots will be attracted. Apparently, it is much easier to do that when the Type Rating Cadets know that there is a high chance of being hired after the studies. BAA Training seeks to become an important catalyst for a successful preparation of pilots by uniting the airlines, instructors, aviation professionals, and talented students for a common goal. The airline’s contract with a flight training academy for Type Rating Cadet programme ensures the quality of pilot qualification. It is a very important aspect for a smooth and top quality airline operation. The possibility of a guaranteed job keeps the students highly-motivated to do their best.